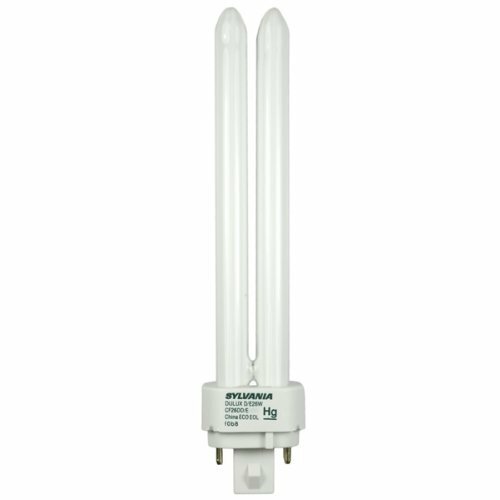 Sylvania 20669 DULUX 26W double compact fluorescent lamp with 4-pin base, 4100K color temperature, 82 CRI, for use with electronic and dimming ballasts, ECOLOGIC. These lamps are long life, energy-saving alternatives for incandescent lamps. When paired with SYLVANIA linear ECOLOGIC lamps, all the fluorescent lamps in an installation will be TCLP compliant.